Just add a router to Splynx in Networking -> Routers and choose the NAS Type Ubiquiti. 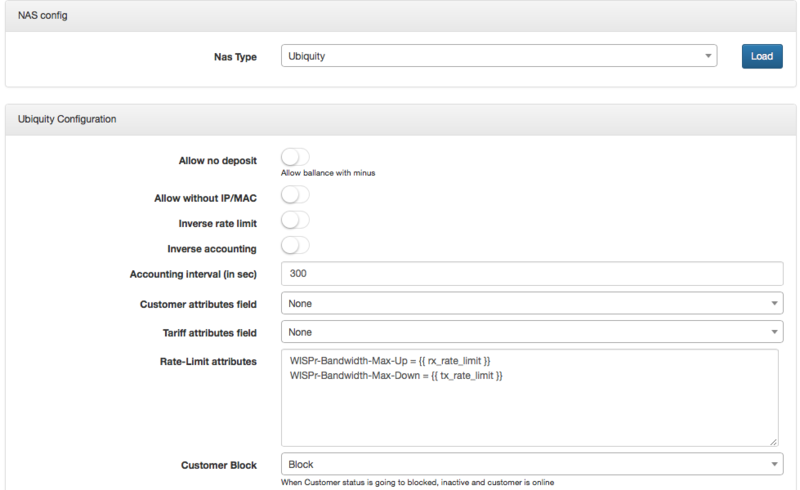 You can add additional attributes to the configuration of NAS Type in Config -> Networking -> Radius. By default we support radius-rate-limit attributes to setup speeds of PPPoE tunnels. In Splynx we can see whether customer is online and get his stats. 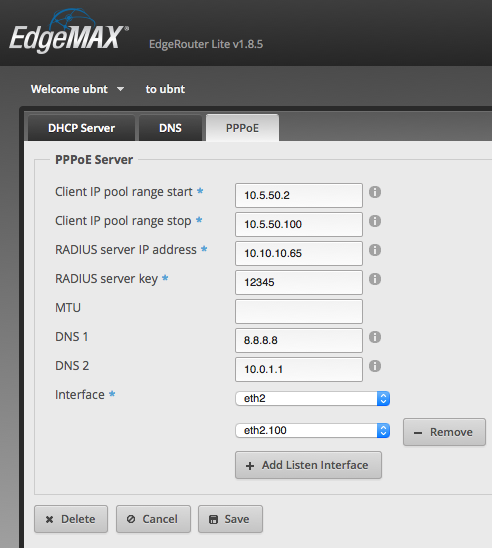 When we click on disconnect button the customer should dissapear from the online list and reconnect with a new session, which means that EdgeRouter accepted the incoming packet from Splynx Radius server.